We love salmon. A lot. “Really? 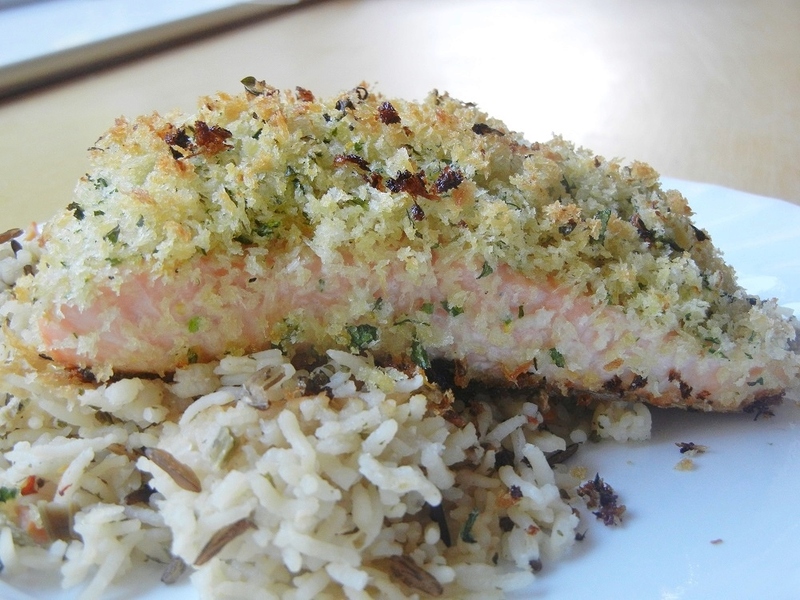 I really like your panko-crusted salmon, though!” he said, afraid I was nixing one of his favorite dishes. So here ya go! Three of our favorite ways to enjoy salmon, depending on what cut you get: fillets with skin, fillets without skin, and salmon steaks! Yum! Feast on, friends. Is it just me, or are the measuring lines in the Instant Pot off for liquid measurements? Here’s what happened. 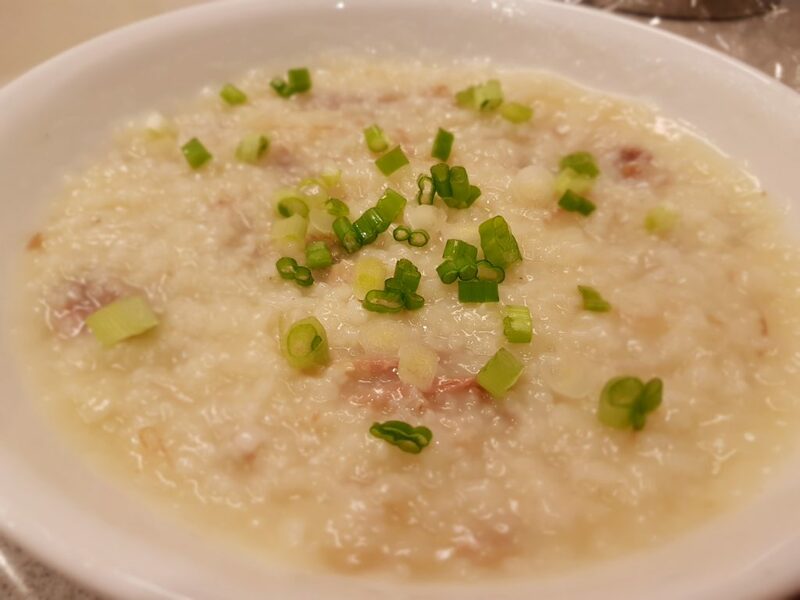 A couple months ago, I shared this recipe with an exciting tip for making Chinese rice porridge, known as “jook” or congee, here on my blog. 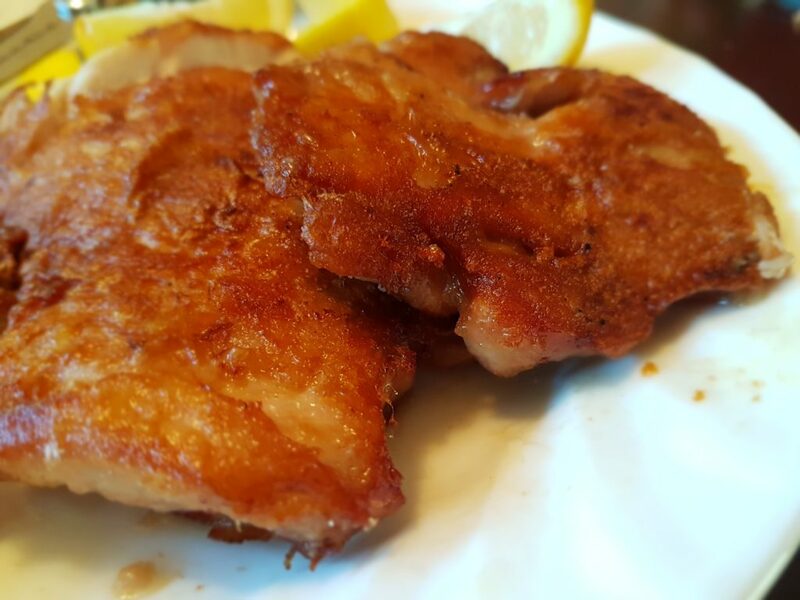 My good friend and faithful recipe tester Wendy tried it right away… and it didn’t work. That was very strange, because she is known for her amazing turkey congee, so it was definitely unsettling to learn that not only was it not better, but it was worse. She said the problem was that her congee was really soupy. The rice and the liquid were just not coming together and it was definitely not the thicker consistency we know and love. She tried cooking it longer. And longer. And longer. I checked if she used a different grain of rice (but should it matter? ), or if she had really frozen the wet rice long enough (but again, she made it fine before- why was it WORSE now?! ), or maybe she didn’t set her Instant Pot correctly? It was none of those. 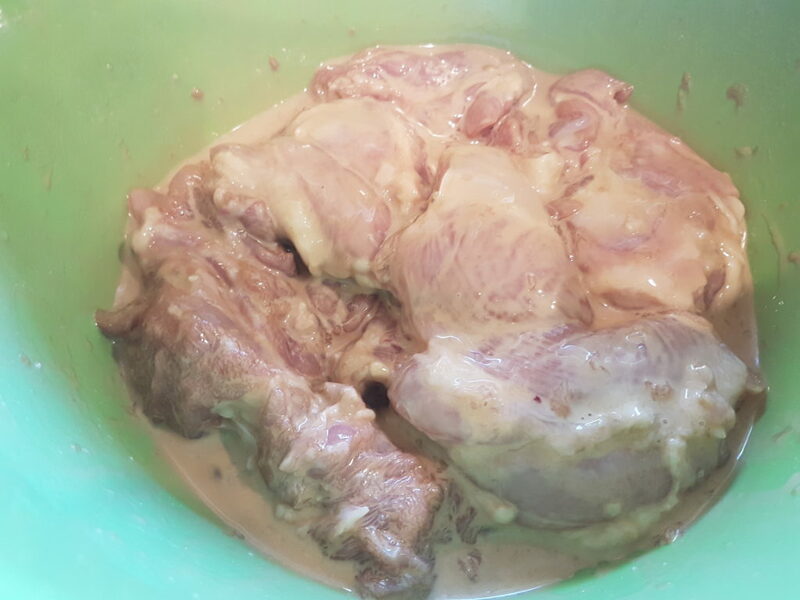 A while later, I made my jook again, and as I measured out my seven cups of chicken stock, I noticed something odd. The liquid was not measuring correctly on my pot. Wait. Was that just me? Did I just do a sloppy measuring job? I did it again, and sure enough, my seven cups always seemed to fall short of the Instant Pot’s measurement of seven cups. Actually it can be, especially if you are pulling your hair out trying to figure out why your congee is so SOUPY and not thick and PORRIDGEY. Congee is supposed to be an easy and comforting food, and spending all evening trying to figure out why you are failing at what is supposedly one of the easiest recipes in Chinese cuisine is far from comforting. So I just went and filled up my Instant Pot with water up to the “8 cup” line, measuring out two cups at a time. Guess how many liquid measuring cups I actually had to put in to get it to the IP’s 8 cup line? 11.5 CUPS!! I was so surprised by this that I poured the water back out, two cups at a time, to make sure that was really the case. It was. That 3.5 cups is significant- almost 150% the amount you’re supposed to be adding! No wonder the congee was coming out soupy! 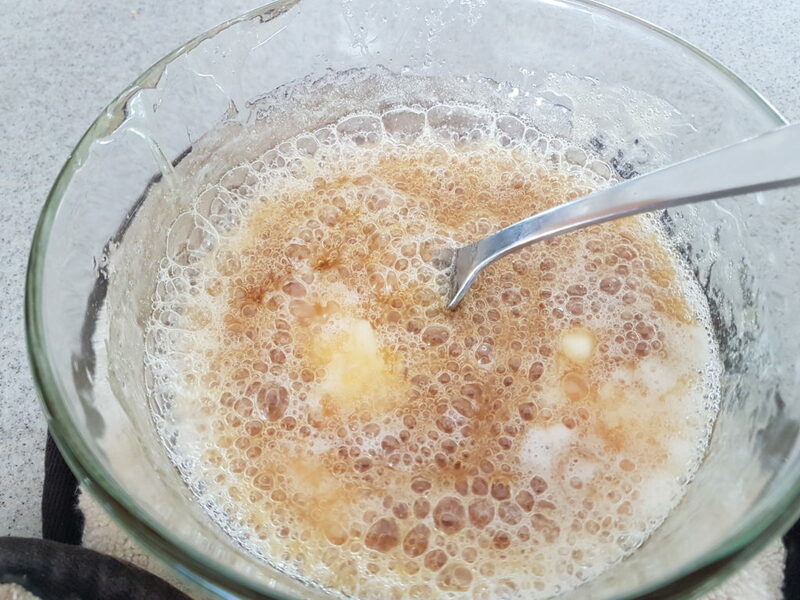 I shared my findings with Wendy, and soon after she tried making congee again- using a liquid measuring cup this time instead of the lines in the Instant Pot, and she said it worked! WOOHOO! So what do you think? Is it just me, or are the lines off for liquid measurements? Well, if you have also been frustrated with soupy congee in your IP, try measuring your liquids with a measuring cup next time and let me know if you have more success! I love croissants. I love chocolate croissants, I love almond croissants and I love chocolate-almond croissants. I love butter croissants, I love kouign amanns (which are made from the same laminated dough as croissants) and I love coffee and tea twice as much when it is paired with a good croissant. 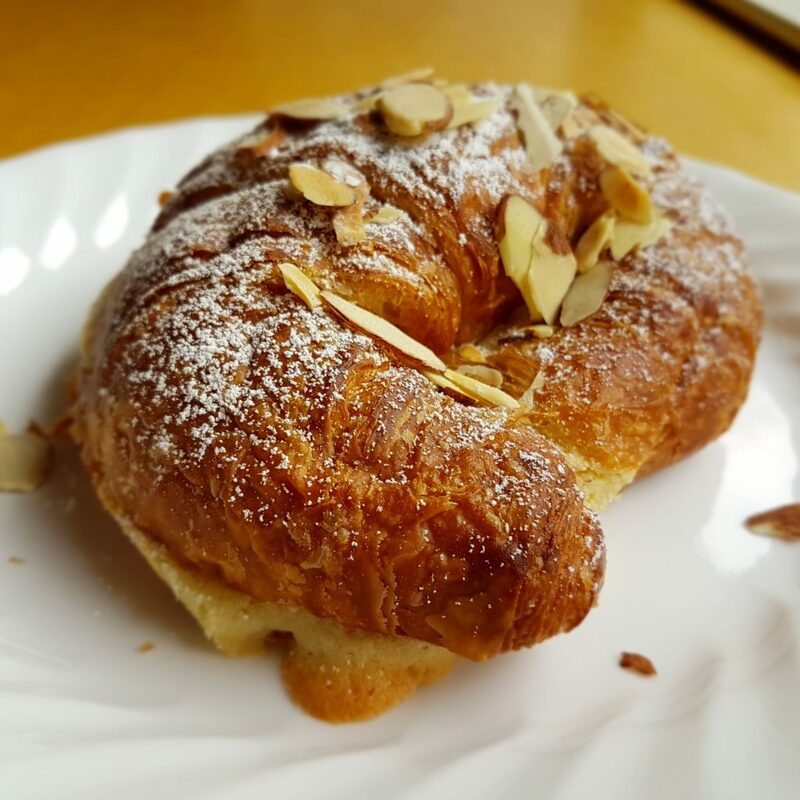 When the day is feeling long and I need a pick me up, one of my go-to treats is a fresh baked croissant from a local bakery. 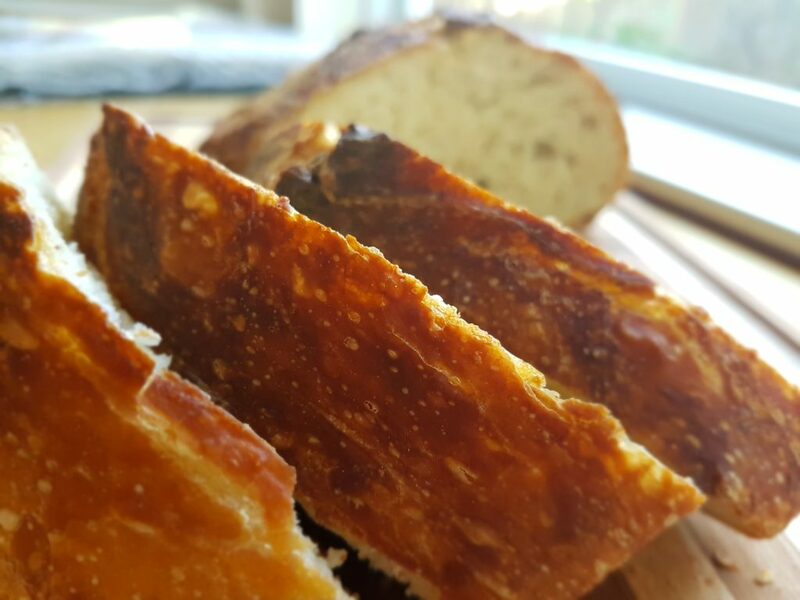 Something about those flaky, buttery layers just brings a smile to my face, my tummy, and yes- my heart. Croissants might be one of my love languages (or maybe just one of my favorite gifts/acts of service to receive :)). When my friends go to Napa (Bouchon!) or SF (B. Patisserie!) or Marin (M.H. Bread and Butter!) and text if I want anything, I drop EVERYTHING to quickly text back as I try to remind myself that it’s probably rude to ask for a dozen croissants. Seriously. I’ll be like, “OOH BEN! JOYCE IS GOING TO BOUCHON TODAY-” and he knows that means I will be oblivious to the world around me for the next minute as I scurry to text back my request. And when the yumminess is in my hands, I melt a little (a lot) and feel so so loved. THANKS GUYS. YOU KNOW WHO YOU ARE. My suppliers <3. Sigh. The original recipe with powdered sugar and almonds sprinkled on top. 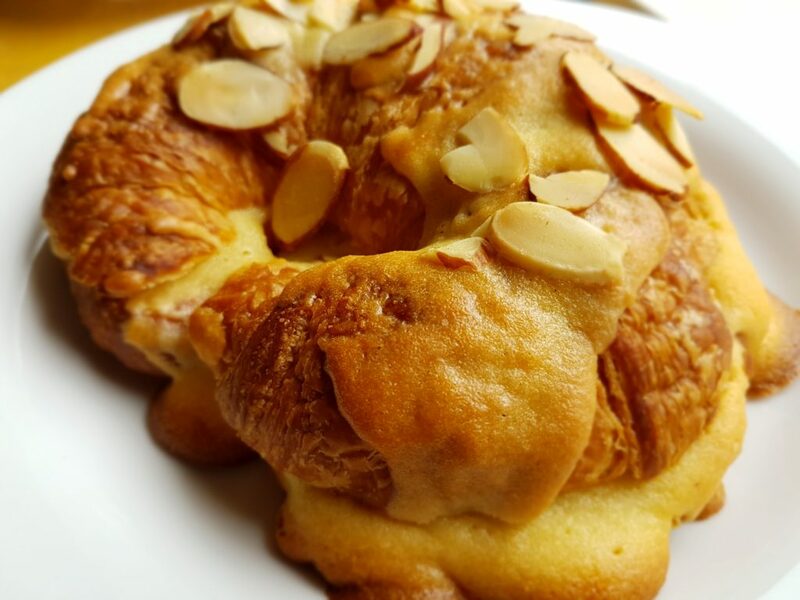 Almost a year ago, my fellow croissant-loving friend Tiffany sent me a recipe to make almond croissants at home. 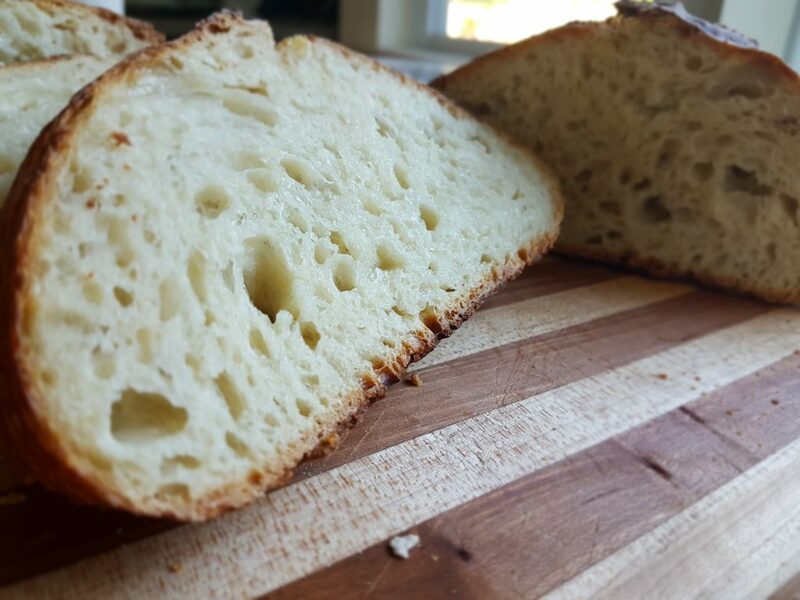 I was a little skeptical of the recipe at first, but when I finally gave it a go a month ago, I was blown away! It was SO GOOD! WHY DID I WAIT SO LONG TO TRY IT?! 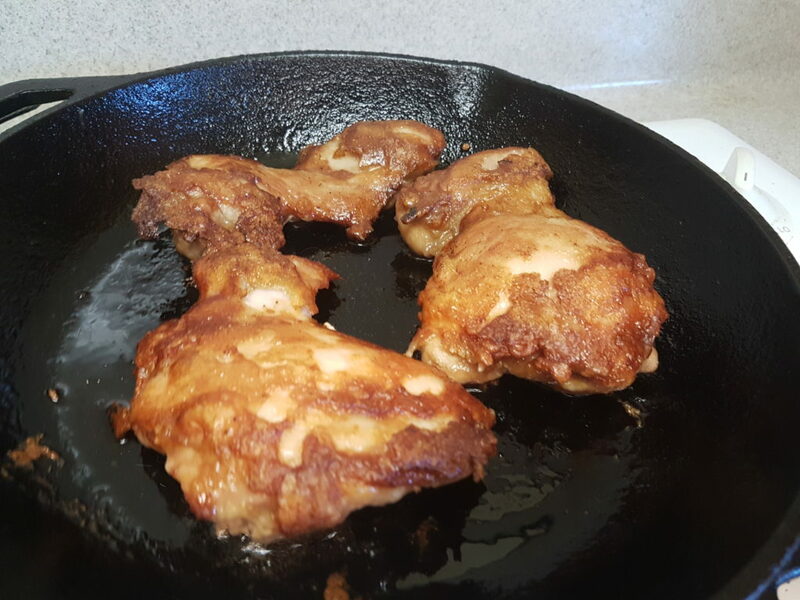 I have since made them again and again, a dozen at a time, and found a delicious recipe that I know I will be looking up a lot in the future. So it definitely belongs here on my blog! It all started at Alinna’s house. She inspires me to try new things a lot, like CSAs, hosting friends more frequently for dinners, baking bread, co-op preschools, and Dorie Greenspan. This visit was no exception. They had us over for dinner, and on the menu: grilled pizzas. By the time we left, I was determined to learn how to make artisan pizza at home, too. When this family does food, they do food, and their pizza was no exception. 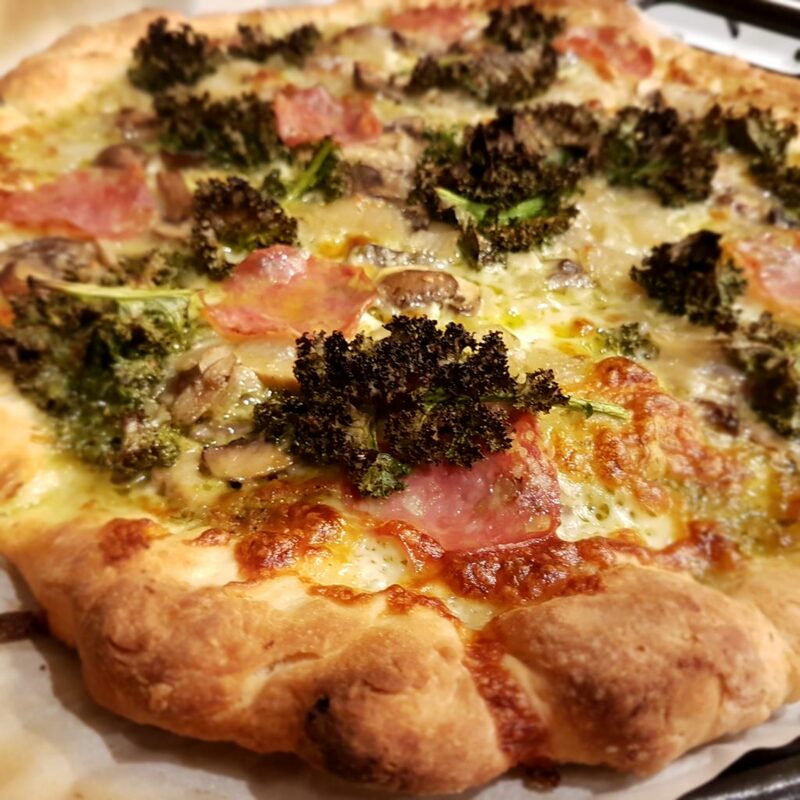 Their sourdough pizza dough recipe came straight out of The Cheese Board Collective and I wouldn’t be surprised if they grew the kale in their own yard. I mean, they already have chickens back there. Ben liked the pizza so much I decided I was gonna learn how to do it. Pizza nights were gonna be a thing in our house. I would sit back and drink some wine while the pizza baked, and we would have something DELICIOUS at the end of it. So I asked Alinna my 131 questions, studied as she built her pizzas, and tried to figure out how I was going to replicate this without a grill in the backyard. 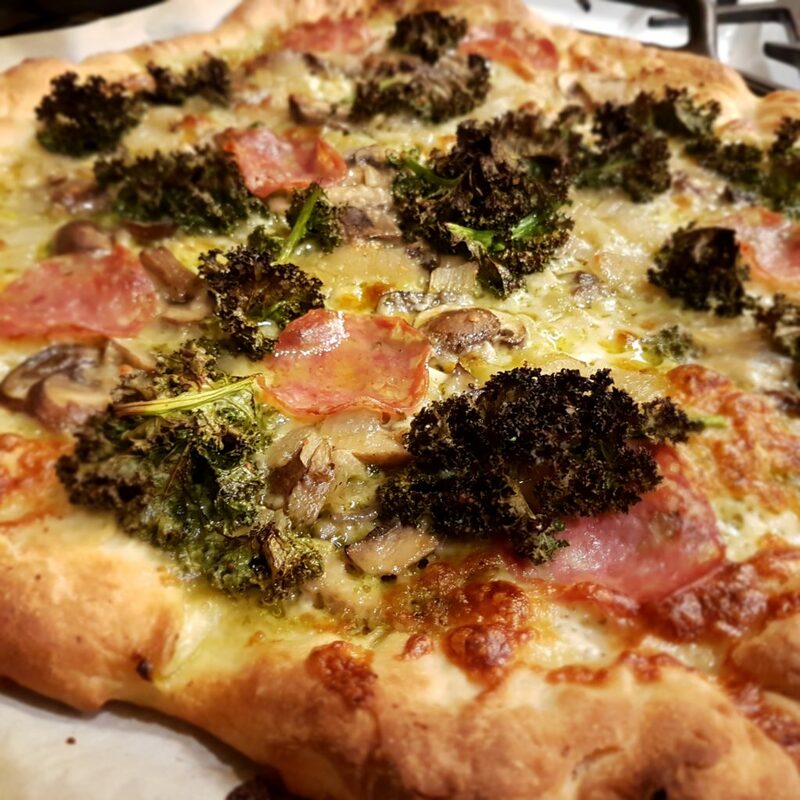 Long story short, after much research and many rounds of improving my oven version, I am ready to share my Friday Night Pizza routine with you! 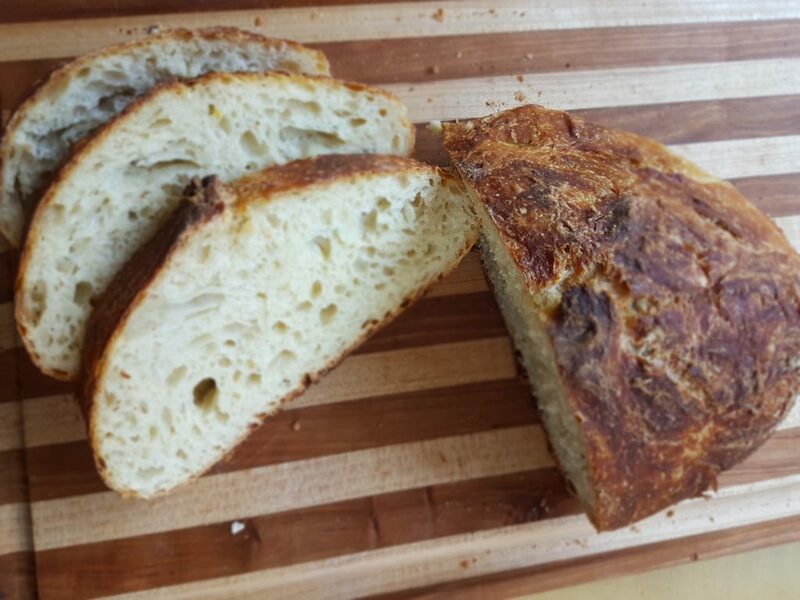 It does not involve sourdough starter. At first, I had big dreams for all the traditions we would keep each year with each new holiday, season, and event. Balloons for birthdays, gingerbread houses each Christmas, planting seeds in the spring, camping every summer, pumpkin patches in the autumn. I had lists of food to go with each season, imagining a feast to ring in each bloom, sweltering afternoon, falling leaf, and raindrop (aka winter in California). But Groundhog Day would come and go, and no garden would be planted. We have yet to go camping as a family, and we only finally made it out to a pumpkin patch this past autumn. I felt like I was failing at traditions, and didn’t want to set anymore tradition-y goals lest I disappoint anyone (mostly myself) by not continuing them the following year. Then one cool autumn afternoon, I decided to set my bar to very achievable, but still delicious and came up with this idea: We’d celebrate every new season with a beverage! Lemonade for summer, spiced apple cider in the autumn, hot cocoa in the winter, and… I’m still working on the spring drink. Any suggestions? I only have a month left! Oh man, it’s January 10, and I think I forgot to say HAPPY NEW YEAR last week! HOPE YOU HAD A GREAT ONE! Are you a resolutions kind of person? I always like to set some goals for myself. Even if they don’t last all year, at least I got a good month or two in of self improvement, and that’s better than nothing. This year, I’m working on a few things, including being more flexible and laughing more. I think this will improve the quality of life for both me and my family :D. What about you? I’d love to hear your goals and intentions at the start of the year. I’ve also got several posts I’m really excited to share with you! They’re the kind that keep me up at night until I finally I pull out my phone and jot down notes so I don’t forget. Unfortunately, my desire to spend hours writing conflicts with my goal to improve at brush lettering which also conflicts with my goal to play more sports (WHICH I’VE BEEN DOING AND IT’S BEEN AWESOME) which conflicts with my goal to study up and learn how to teach my daughter music. Not to mention spending time with Ben, or watching TV or something. And I think I maybe had friends or fellowship or something at one point in my life… but… there are only so many things I can cram between 8pm and whenever I finally make myself go to bed. Good times! So today I’m buying myself some time by pushing up a recipe that I was planning to post later. If one of your resolutions this year is to eat more healthily, you might want to go ahead and skip this one. The way I remember the ingredients is literally: two types of sugar, two types of sodium, two types of fat, two types of carbs. The only way you can make this less healthy is to add bacon and ice cream to it! But it’s super delicious and snacky and addictive :D.
My friend Wendy introduced me to the addictive and craveable flavors of this Hurricane Chex Mix, and I am always delighted to get a little tub of it from her. It’s the perfect snacky combination of sweet, salty, and crunchy! 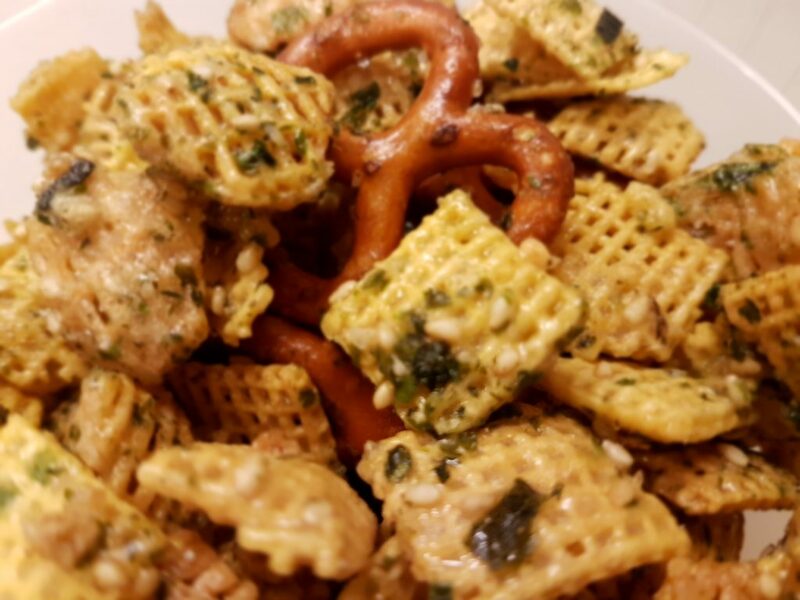 I love the Asian take on the Chex Mix since it uses some soy sauce and Furikake, a dry Japanese rice seasoning. I had fun making this snack with my 3-year old as a little packaged gift for family this year. Brilliant Trick to Get 20 Minute Congee with GREAT Consistency! Brrr it’s been cold here lately, and on chilly days like this, there’s nothing better than a hot bowl of congee to warm you up! Congee, or “jook,” is the Chinese equivalent to porridge. It’s the ultimate Chinese comfort food, and every Chinese kid has grown up eating this for breakfast or sometimes lunch. My husband loves it with fish fillet, and I enjoy it with pork and uh, special Chinese egg (I’ll skip the explanation on that one for now). Yummy stuff. I am Chinese American and I have struggled to get the right congee (or “jook”) consistency for the last 10 years. But it has eluded me time and time again. How could this super easy staple in Chinese cooking be so hard for me? I’ve tried cooking it over the stovetop for 6-7 hours. I’ve tried it in the slow cooker for 4-6 hours. I’ve tried it in the Instant Pot for 2 hours (it’s supposed to be only 30 mins). I’ve tried each of these methods MULTIPLE TIMES and have only really liked it maybe twice. But I could never replicate the consistency of the one that I liked. Was it the type of rice I used? Had I used day-old refrigerated rice? Was it the temperature that I cooked it at? Was it the liquid to rice ratio? WHAT DID I DO RIGHT AND WHY CAN’T I DO IT AGAIN? 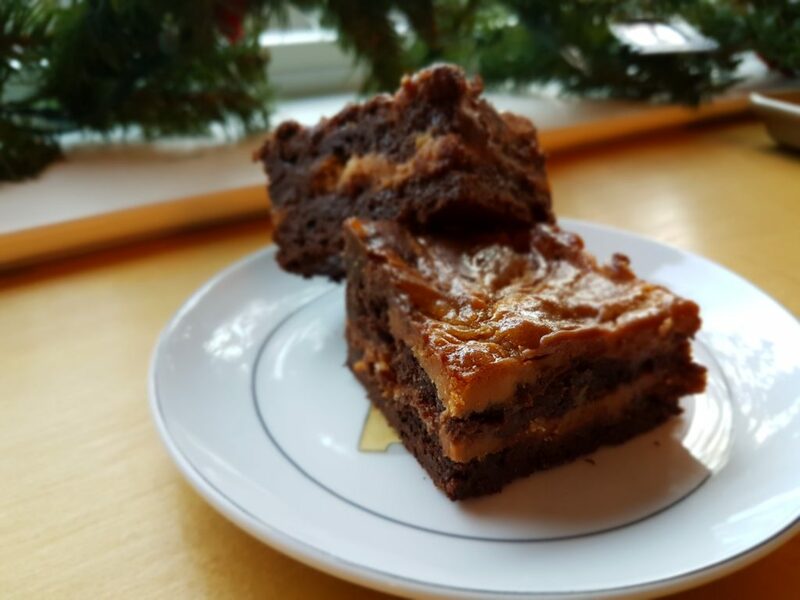 My friend David posted a recipe for salted caramel cream cheese brownies last week. They are completely over the top. I mean, brownies. With a cream cheese mixture swirled in. Scratch that- a caramel cream cheese mixture. WAIT, I mean, a SALTED CARAMEL CREAM CHEESE. Yum. Decadent and perfect for those I need chocolate NOW emergencies. I made them that very day. I just happened to have a ton of cream cheese, heavy cream, and corn syrup on hand. (I know, I’m probably going to die an earlier death =P But at least I will have enjoyed eating well?). After skimming the recipe, I decided I would double the recipe. If I’m going to make such a big mess, I want more than one 9×9 inch pan of brownies! Of course I got lazy and used a 9×13 inch pan, which turned out UBER thick brownies (and took about 30 minutes longer to bake!). Not complaining. But they’re not as pretty, either. 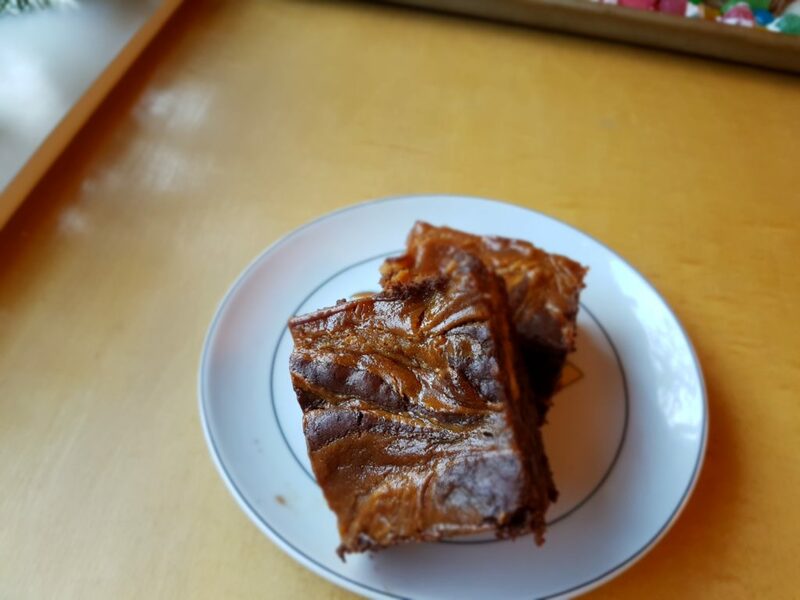 Anyway, I’m so glad I tried this recipe, because inside this brownie recipe was a GEM: A MICROWAVE SALTED CARAMEL RECIPE. YUMMMYYYYY!!!!!! 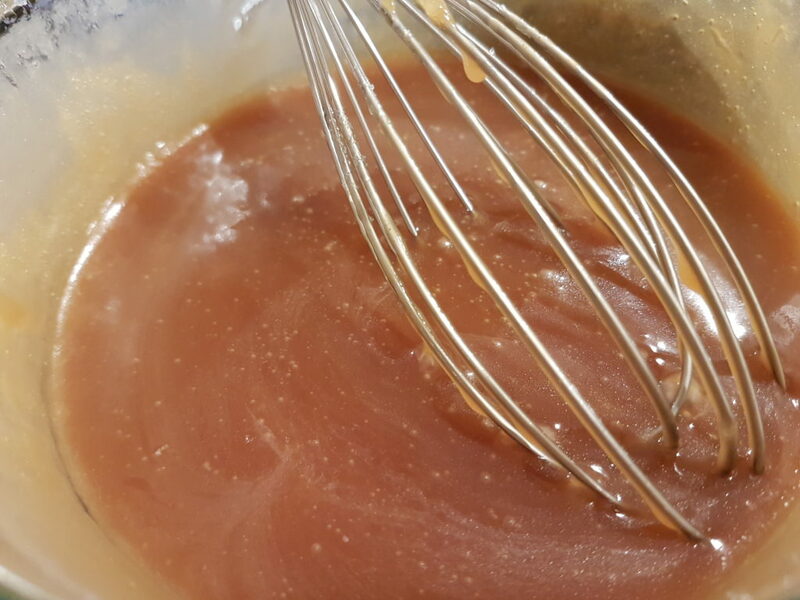 I don’t usually love making salted caramel because I always get too close to burning it over the stovetop. But I do love eating it. By the spoonfuls. It’s seriously addictive, and this recipe solves my stovetop problem: microwave stuff for 4 minutes, add in other stuff, DONE. Stir it into your hot cocoa, blend it into brownies, top your ice cream… or do like I do and just eat it by the spoonful. MmmmMMMMmm.